We have dodged a bullet this morning, no acceleration in jobs or wages in the July employment report. Mortgages are still high-fours, the 10-year T-note under 3.00%, and credit markets fidgeting at the prospect of three more .25% hikes by the Fed in the next six months. Fidgeting… got to love opinion from bond market players trying to reassure themselves that the Fed doesn’t really mean it, and to jawbone the Fed that it shouldn’t mean it, either. So we hear “inversion” threats of imminent recession, alleged weakness in economic sectors, and worry about tariffs. My parents once had a golden retriever who was petrified of thunder and sought safety under the living room sofa, which had about three inches of clearance. …The labor market has continued to strengthen and… economic activity has been rising at a strong rate. Job gains have been strong….. Household spending and business fixed investment have grown strongly. 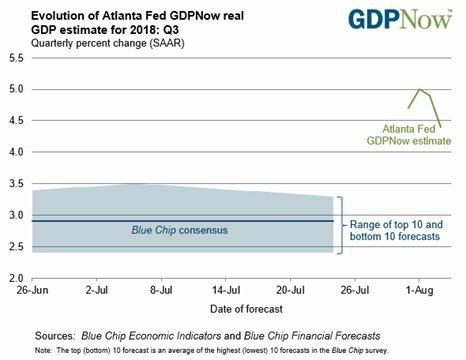 …Further gradual increases in the target range for the federal funds rate will be consistent with sustained expansion of economic activity, strong labor market conditions…. Translating from Fed-ese, “accommodative” means easy money, the Fed’s overnight rate still stimulating the economy. The strength/accommodative message says the Fed will end accommodation as fast as it can. It must. Legit speculation: where lies “neutral,” the border between easy and tight, where the Fed might stop? In all of economics there is no more essential question which is simultaneously silly. The neutral rate notation is r*, lower-case r asterisk, spoken as “r-star.” With a straight face, all economic commentary notes that this rate is “not observable.” We desperately need to know what cost of money will be neutral, but cannot know. We guess. We assume that any interest rate below the rate of inflation is stimulative, and if above inflation is tight. How far? Um… we think that changes from time to time. In the economic mire of the last ten years, r* was negative (hence QE to winch us out), and in the last few years perhaps zero — the neutral rate at the rate of inflation. The consensus at the Fed now is about a half-percent, maybe three-quarters above inflation. 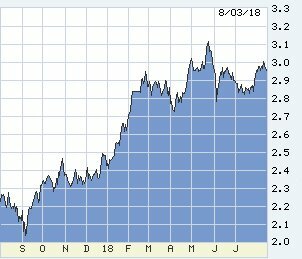 Inflation has now reached the Fed’s 2% target, so neutral may be 2.50% to 2.75%, markets hoping for an extended pause there, maybe a dead stop. The Fed’s forecasts say to go slightly above neutral, 3.00%-3.25% to get the economy to slow to a sustainable pace. This neutral hunt is Monty Python searching for the holy grail. Or perhaps Cleese in the cheese shop which has no cheese. The creepy aspect of r* is found in quantum mechanics: even passive observation of quantum phenomena can actually change the measured result. Example: the Fed has hiked from .25% to 2.00% since December 2015 which has likely altered the neutral rate, as will further hikes to 3.00% or more. 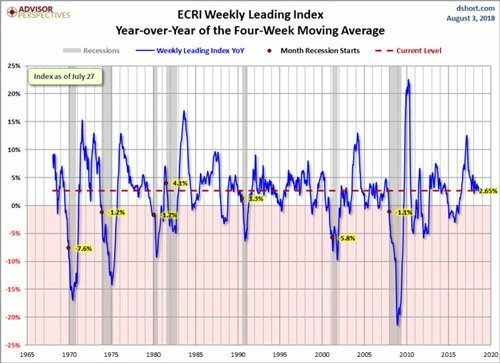 You hike toward imaginary r* hoping gently to slow the economy but the economy begins to nosedive (a repeated Fed surprise). Whatever r* was before the dive, it’s now a lot lower. In the hell of central banking, even with the best intentions and skill: whatever you do today will have unknown effects at unknown moments in the future. From 1945 into the mid-1990s Fed forecasting tools did pretty well, perhaps in largest part because mechanics of the economy did not change. In the early 1990s the Cold War ended, China opened, and IT changed the whole basis of commerce. The US and world flipped from prone to overheating and inflation to predominant forces of deflation. From the Great Recession forward, arguably from 2000 forward, the Fed’s forecasting tools have been useless. The deflation force could flip back to inflation without warning, or drag from deflation intensify. The best the Fed can do: hike a small distance above inflation and see what happens. Markets are fighting the thought because of the Fed’s persistently mistaken expectation of a hotter economy since 2012. Now we have one, but no good way to see into the future. However, one clue sits in markets. All of the inversion talk involves short-term rates versus long-term, but for Fed cycles a short-short comparison has worked. Compare the overnight cost of money, Fed funds, to the 2-year T-note. 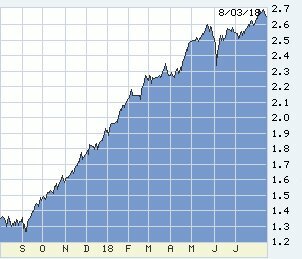 During initial phases of Fed hikes, 2s front-run the Fed, speculating on “how high.” A trader of 2s cannot buy at a yield which will soon be underneath the cost of money — until preliminary signs of a cracking economy. Then 2s stop rising and are overrun by Fed funds just before the panicked series of Fed cuts, trying to put a bottom under the new recession. 2s this week nearly reached 2.70%, Fed funds at 2.00%, a very strong forecast of the Fed’s next three hikes. Watch 2s! When 2s stop rising and the Fed keeps going above 2s, that’s the marker of pause ahead and probable recession.